Each guest slip offers easy access to potable water hookups and electricity for 30 amp connections; with 50 amp hookups available at our 50 foot slips and our long ‘linear tie’ at the end of the guest dock. Water is FREE. At the Port there are multiple areas to empty your holding tank. One is located on the Fuel Dock and the others are located all along the Guest Dock, just inside the break-water of the marina. For more details please see the link below, contact the Port Office, or ask any of our knowledgeable staff members for assistance. 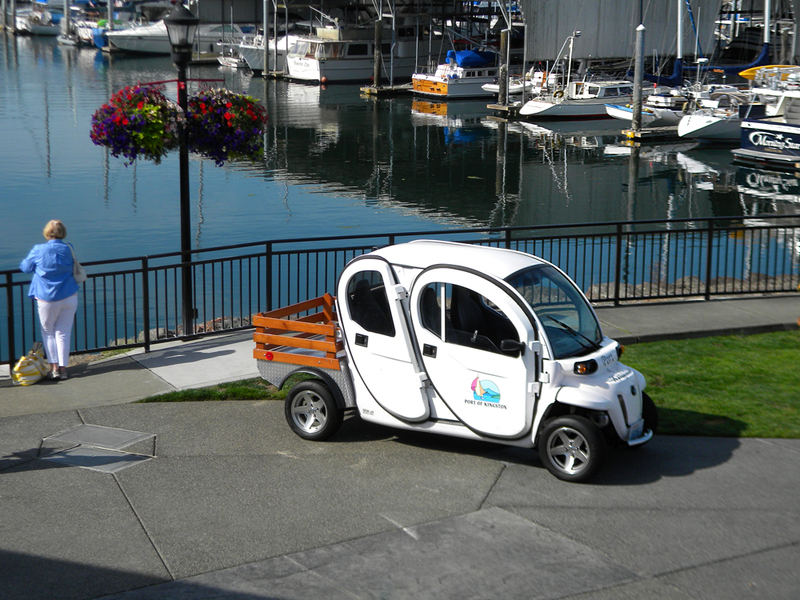 As a paying guest at the Port, upon availability, we offer now two convenient electric cars that can be utilized to obtain supplies within a small radius of Kingston. The Port does require a current driver’s license, proof of insurance, and a short form to be completed and signed before using the vehicles. For more details drop by the Port Office. The Port also provides unlimited use of the bathrooms and shower facilities to all paying guests and tenants. They are located under the Port Office building; each have a security-coded number pad that can be accessed by checking in at the Port Office. Current tenants can use their own key cards for this amenity. Additional bathroom-only facilities are also located at mid-marina, as well as near the boat launch ramp near the parking lot areas. These are open to the public 24/7. The Port also provides unlimited use of the laundry facility to all paying guests and tenants. It is located next to the Men’s bathroom under the Port Office building. It too can be accessed with a security-coded number pad that can be obtained by visiting the Port Office. Both the washers and dryers are quarter operated. The cost is $1.50 per load for each. Detergent can be purchased at the office for $1.00. There is ample room within the facility to tend to your laundry needs. Currently, the Port offers all paying guests and tenants FREE WI-FI internet service. Please see the Port Office regarding connection requirements and accessibility. 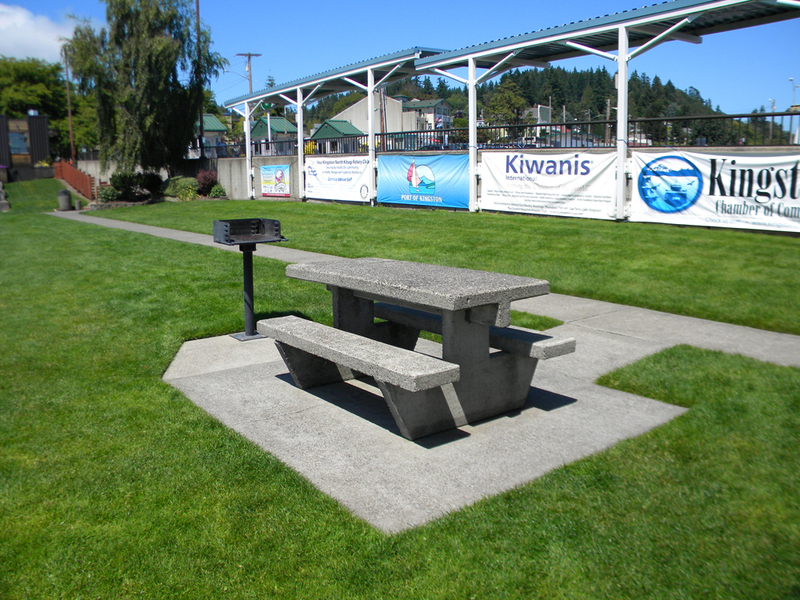 The Port offers a number of designated picnic areas. There are two covered picnic gazebos located on the Guest Dock and several located along the sidewalk and parking lot areas. Please NOTE: They are first-come-first-serve and CANNOT be reserved. Open flames are NOT allowed under the covered picnic tables, and there are no immediate electrical outlets in the gazebos; so please be aware of tripping hazards using power cords to slip outlet units. Otherwise, DO enjoy using them to set the stage for your outdoor fun! The Port also offers, when available, several large-capacity quite durable toting carts. They are great for transporting lots of items from your car to the boat or from the boat to the trash bin. 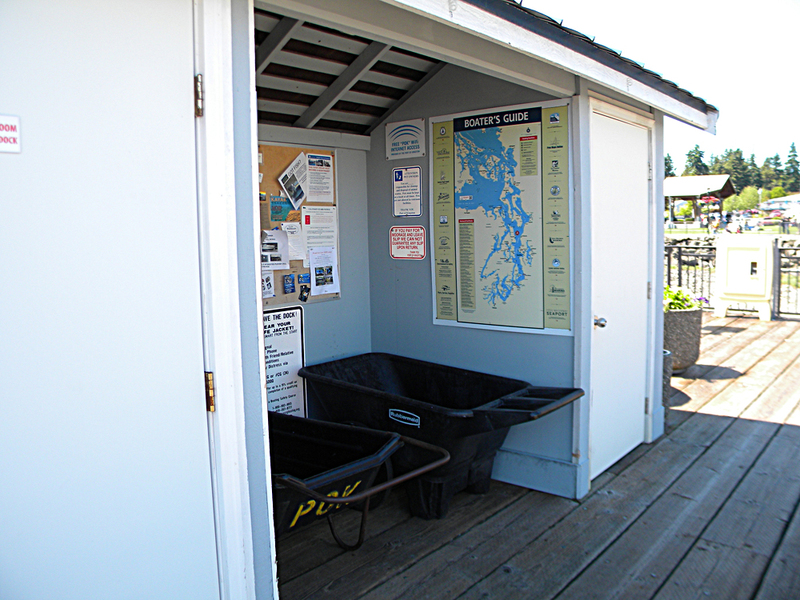 For guests, two carts are usually available at each end of the marina in the small utility houses. Several others are located within the entrances of each security gate of the tenants’ docks. NOTE: please thoroughly clean up the carts from any mishaps and please return the carts where they belong. On the Port of Kingston property is the Washington State Ferry System, which offers ferry service to and from Kingston and Edmonds, and the Kitsap Transit Fast Ferry, which offers passengers service to and from Kingston and Seattle. 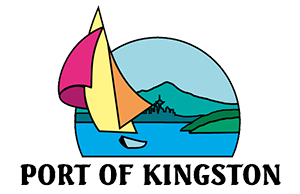 It is about a five minute walk from the Marina parking lot to the Kingston-side ferry terminal for both ferry systems. For more details and schedules for WSDOT Ferries, go to www.wsdot.wa.gov/ferries. For more details and schedules for Kitsap Transit Fast Ferries, go to www.kitsaptransit.com.